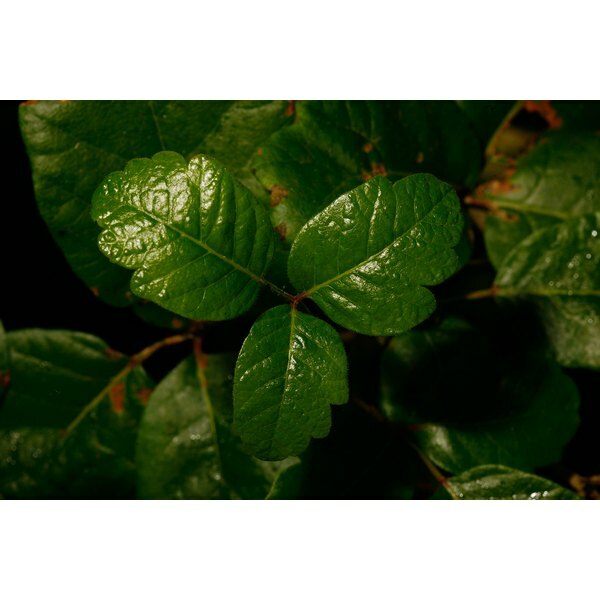 Despite its name, poison oak is not a tree, but a plant that causes inflammation and itching on the skin. This is a problem when it’s on your arms and legs, but it can be dangerous if it affects sensitive areas such as your eyes. Temporary treatment of poison oak in your eyes can help relieve your pain before getting medical treatment. If your eyes come into direct contact with poison oak, you should rinse them out with lukewarm water as soon as possible. This can get the poison out of the eye before it causes irritation. If the eye does become irritated, washing the eye with lukewarm water can cause the itching to stop for several hours. Initially, the itching will become more severe, but the nerves will overload from the sensation of the itching and stop conveying the itching sensation briefly. Once you've run the water on your eyes, close your eyes tightly and let your tear ducts wash away any poison oak residue. Topical lotions can help soothe itching caused by poison oak. If your eye becomes infected, you may want to rub aloe vera around the affected area to soothe any pain caused by over itching. Calamine lotion is a popular anti-itch cream that is often used in poison ivy, oak and sumac treatments. Working it into your skin in the affected area can help reduce your itching. Never put these creams directly in your eye. This is only a treatment for the skin around the eye. If you get poison oak directly in your eye, you should immediately seek medical attention. Any home treatment should be used to temporarily treat your symptoms, not to cure. The doctor will assess the situation and decide the best course of treatment. Painkillers can help stop any pain that may come from the infection. The doctor may also prescribe an eye wash to treat itching. You may have to wear an eye patch to prevent yourself from scratching at the affected area. Your eye will also likely swell and become discolored and unsightly. Your treatment will help get rid of this problem.